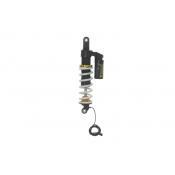 Rear Touratech DDA Plug & Travel Shock. 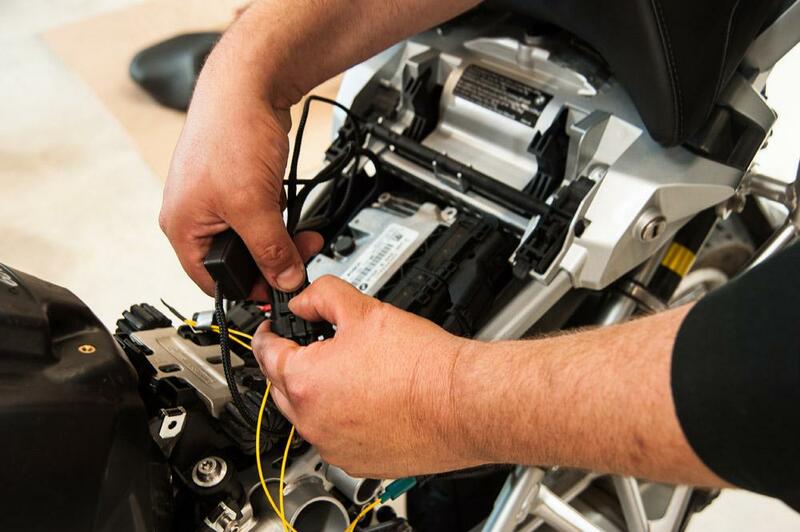 All Wiring connections are included for easy installation on R1200GS Water Cooled. Front Touratech DDA Plug & Travel Shock. All Wiring connections are included for easy installation on R1200GS Water Cooled. 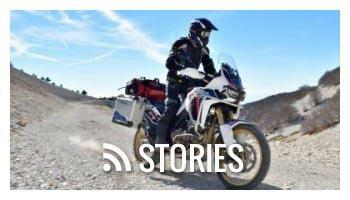 Touratech Plug & Travel Suspension completely integrates into BMW stock suspension system. All controls and adjustments are maintains. Simply plug and play! 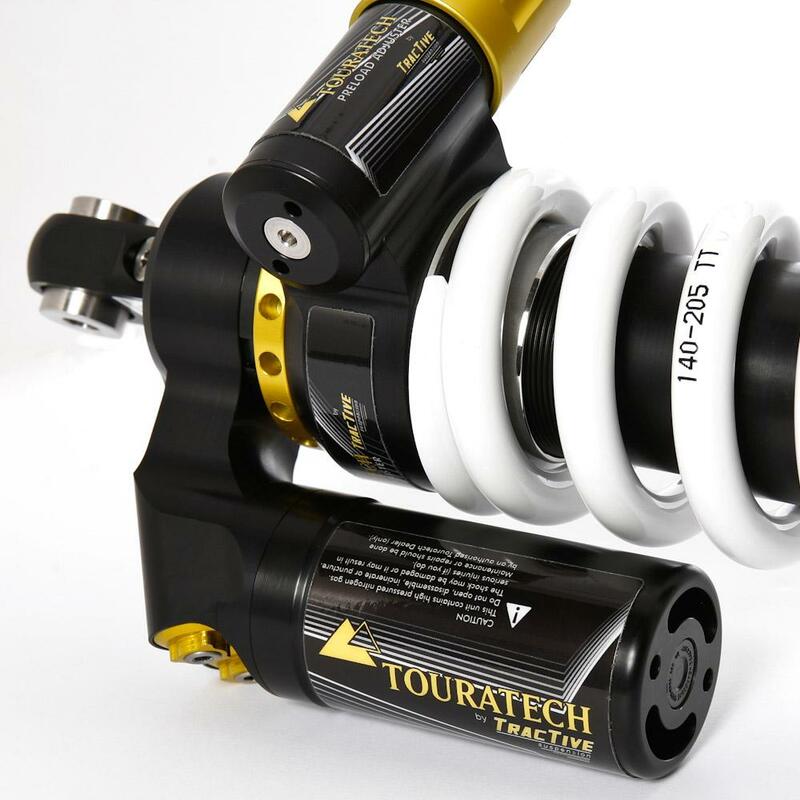 If your current suspension feels spongy, worn out, too soft, or just not up to the task, it's time to replace your shocks with Touratech Plug & Travel Dynamic suspension. Upgrading your suspension is the single biggest improvement you can make to your R1200GS or Adventure. The world's first plug & play suspension system for the water cooled R1250GS, R1200GS or ADV with dynamic suspension, Touratech Plug & Travel fully integrates into the stock wiring system, giving you all the same controls and adjustments you've grown to love. On top of that, Touratech suspension adds high and low speed compression damping adjustment along with many other features that will ensure your suspension takes you the distance no matter what the load or terrain. 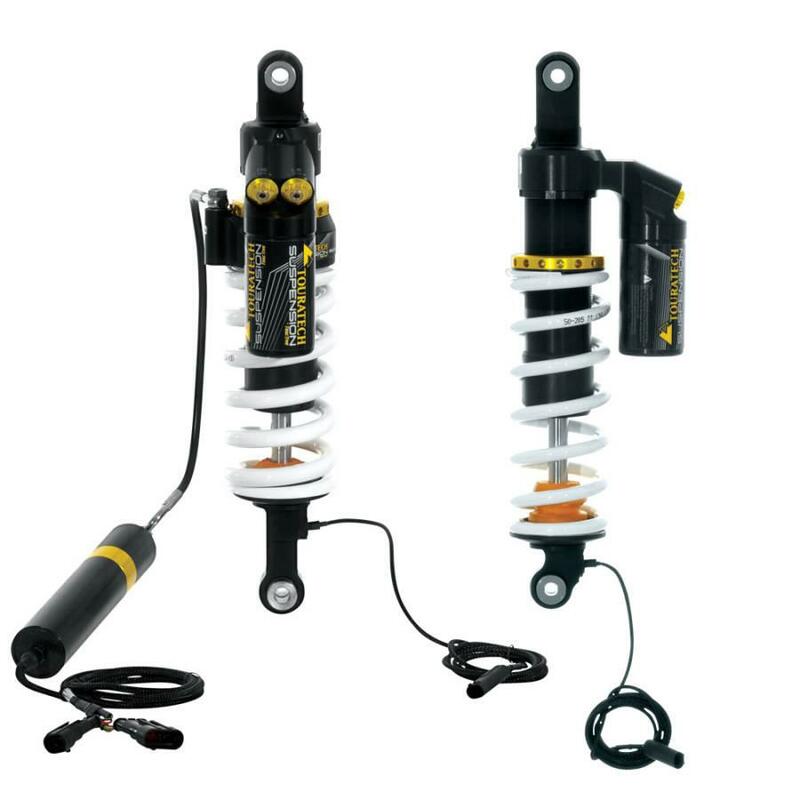 This shock set is available in both a standard height and a low version which drops the seat on the standard R1250GS or R1200GS (non-Adventure) by 2 inches. Use the drop down menu to select the standard or low version. Motorcycle Manufacturer’s Shocks - The shocks found on new motorcycles are designed to be inexpensive and fit the needs of the average 170lb rider with 15lbs of luggage. As a result, they often meet the minimum standard for function. The performance of a stock shock is typically not confidence inspiring. With heavy loads, stock suspension “bottoms out” easily and doesn’t offer sufficient preload or damping adjustment range. They aren’t serviceable and, with heavy loads, are prone to blown-out seals and other failures. The rider often feels that the bike is too spongy and doesn’t handle properly. The OEM dynamic suspension found on the R1200GS water cooled uses a valving system designed for automotive shocks, and is not reactive enough to give a motorcycle the traction and comfort it needs. 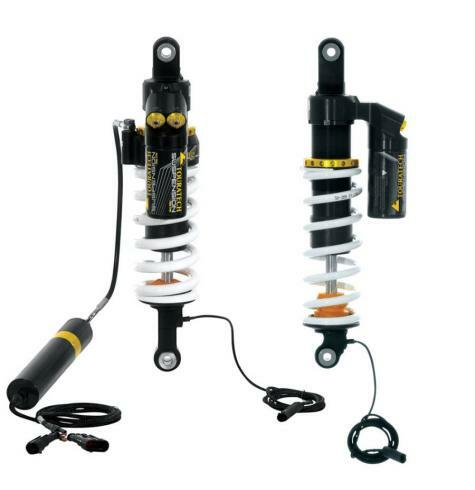 Aftermarket Shocks - Most after-market shocks are made with performance riding in mind, but aren’t built for use on a fully-loaded touring bike. 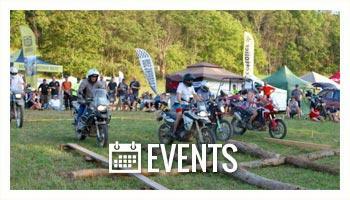 Most can only withstand the weight of the rider and don’t offer good handling, or have adequate preload adjustment. They also aren't durable enough to go the distance with a fully-loaded touring bike. Touratech Plug & Travel DDA shocks are fully compatible with the BMW's complex computer system. 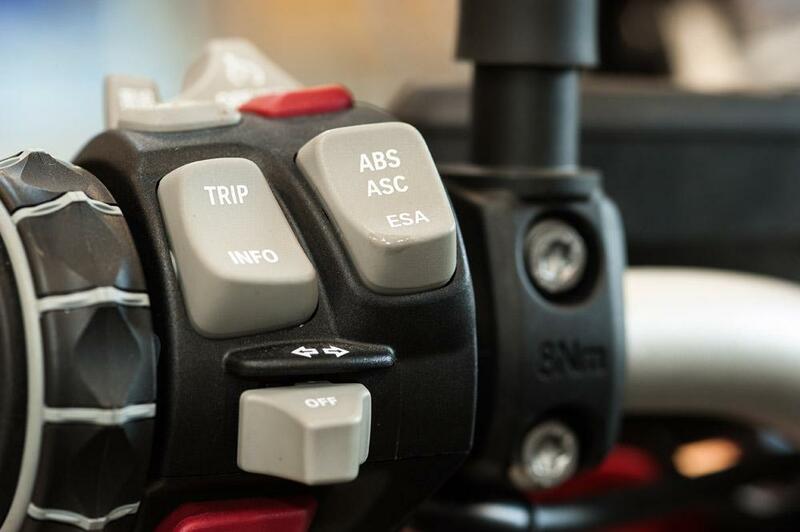 You won't have to worry about splicing wires or error codes with Touratech Suspension. Semi-Active, Dynamic Damping - Damping characteristics change in real-time as your riding conditions and speed change to give you the most accurate damping settings for your current situation in miliseconds. Motorcycle-Specific Valve - The OEM shock utilizes an automotive valve style that is much too slow and requires too much movement to activate. The Touratech shock features the first of its kind, patented, motorcycle-specific valve that can react quickly to even the smallest changes in motion; perfect for an adventure motorcycle. Plug & Play - Fully compatible with stock controls and ride modes on your water-cooled BMW R1250GS, R1200GS & GSA with Dynamic suspension. Simply replace your original shock with the Touratech Plug & Travel, plug the connectors into the factory wiring, and away you go. Large Piston Diameter - Over-sized 46mm damping piston for cooler temperatures and reliable performance. Compared to the stock 36mm piston, ours can more effeciently reduce workload and operating temperatures. Remote Reservoir – The Touratech Dynamic shock features 30% more front, and 60% more rear reservoir capacity than the stock BMW suspension. This piggy-back style remote reservoir, made from high-strength aluminum, is designed to keep the fluid cool and ensures pressure stability in the shock which results in better performance. 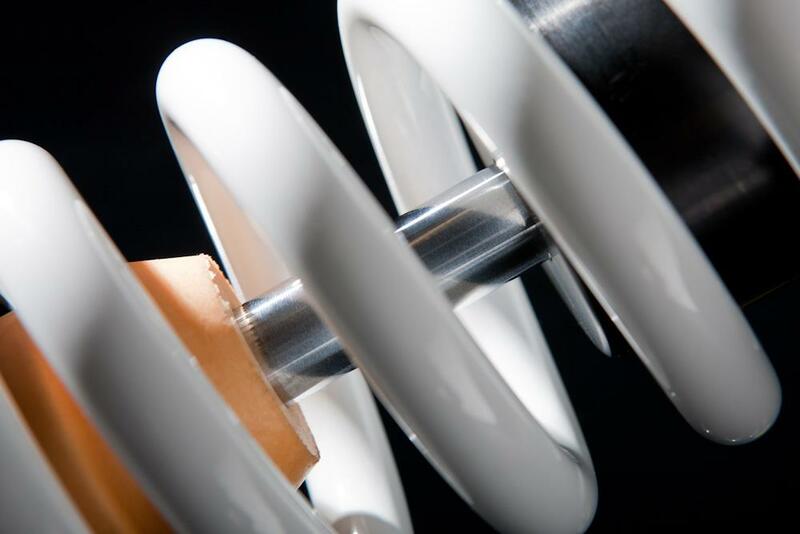 The increased oil capacity results in longer shock life. Adjustable high-speed and low-speed damping – Separate adjustments for high-speed and low-speed compression damping allow absolute control of shock tuning to give you the precise handling characteristics you want in any conditions. This allows you to control how the bike handles in a high speed corner separately from how it behaves absorbing a pothole. Floating Piston Superiority – Touratech Suspension uses a Floating Piston design which offers the best damping performance because it physically separates the nitrogen gas from the oil. Most shocks use oil emulsion damping which allows oil to mix with the nitrogen gas in a foaming process that basically ‘thins’ the oil and prevents the shock from working properly. When the oil is 'foamed' the bike bottoms easily and also springs up too quickly resulting in erratic handling and an unsteady ride. With the floating piston design of Touratech Suspension there is a physical separation of oil and nitrogen gas which means you can ride rough roads all day long and enjoy consistent high performance. Why buy a shock whose performance gets worse the harder you ride it? 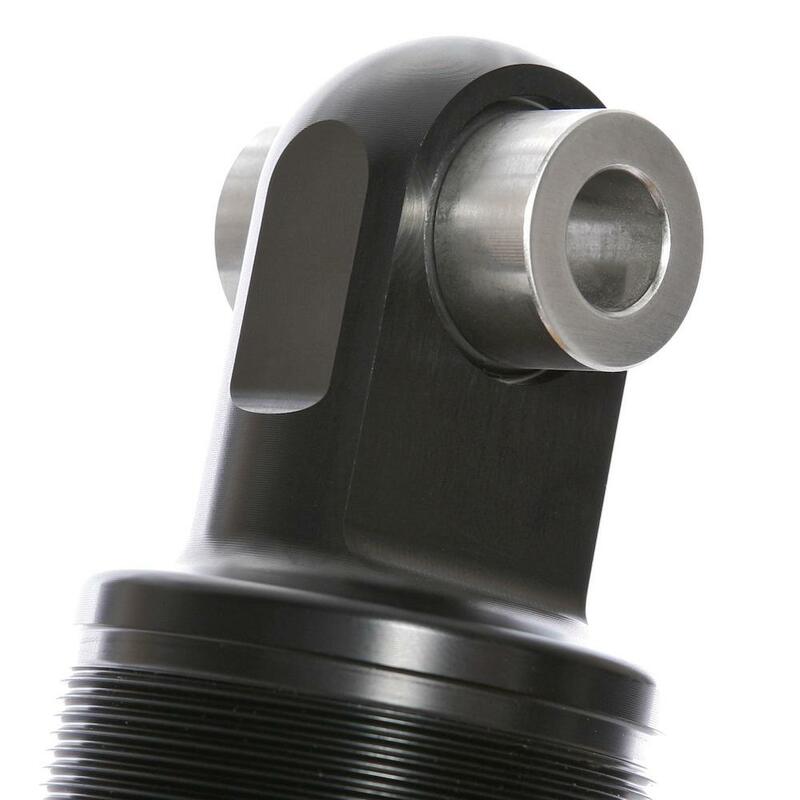 Before you invest in new suspension for your R1200GS, make sure it’s a floating piston design. Stainless Steel Bushings - While many shocks use aluminum bushings where the shock mounts to the motorcycle, Touratech Suspension uses high-strength, non-corrosive stainless steel. This creates a strong and rigid connection which is important for loaded touring motorcycles. The stainless steel bushings protect against corrosion and seizing and offer low maintenance and longer life. 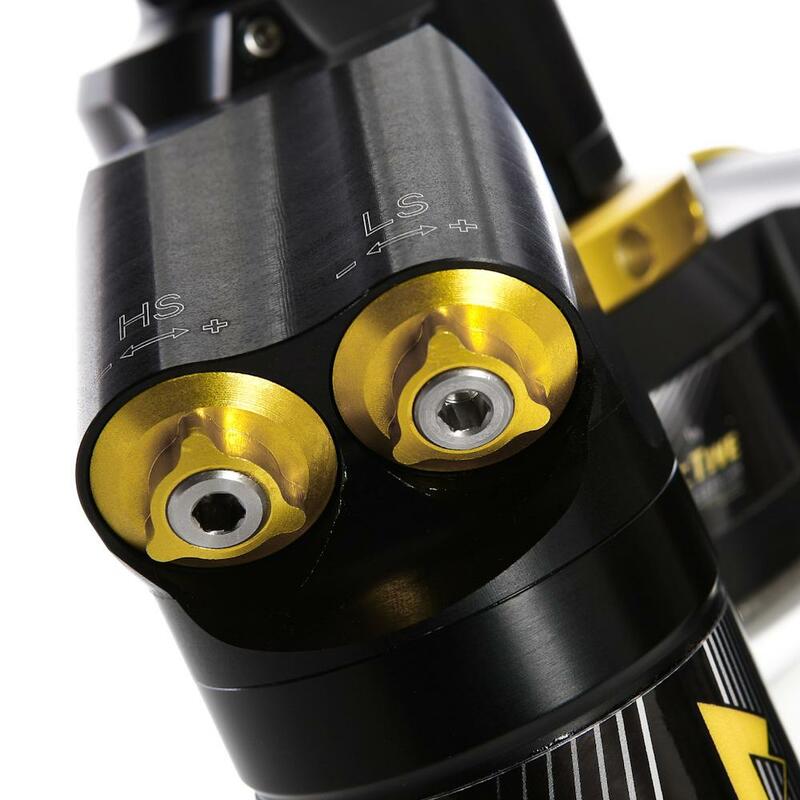 Oversized high-strength shaft – Touratech suspension uses a 16mm high-strength chrome-moly steel alloy. 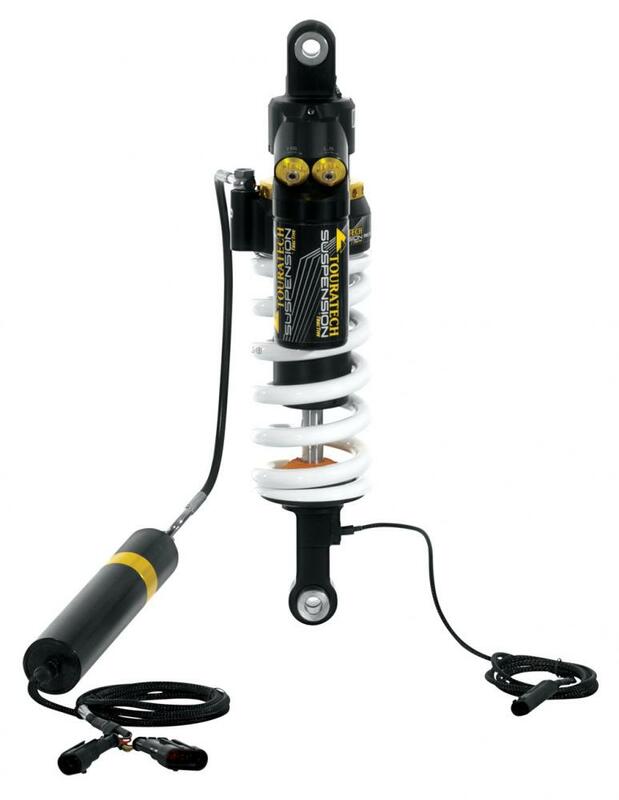 Custom Springs – Touratech Suspension is available in a range of spring rates so we can ensure your shock has the proper spring rate for your application. Fully Serviceable – All Touratech Suspension is fully serviceable and can be customized or re-built by Touratech-USA or any qualified suspension technician.